Never say “a Tabby is just a cat”. 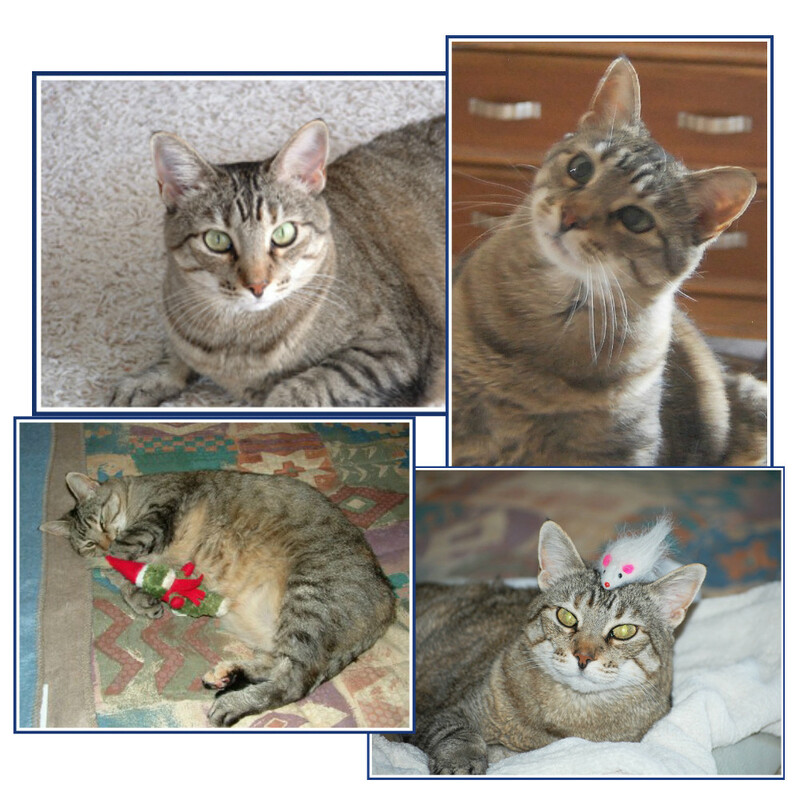 We met our Maverick when she was a half-grown stray in the Hill Country of Texas. She adopted us after weeks of our kindness built her confidence in humans. She was a maverick: a gentle, little loner who never picked a fight, but loved all of the human attention we could give her. She grew into a 13-pounder, serious about her food bowl and about life. Through the years, she moved with us from Texas to New Mexico, loved being outdoors even though she had to have a leash, conquered Diabetes II and dealt with arthritis without complaint, and managed to win human friends everywhere with her sweet disposition. Our hearts are broken, for she filled our lives with comfort and enjoyment –surely no cat could have loved being brushed more than our Maverick. Always the sweetheart, she was never a complainer through her long life. She seemed to grow into becoming the oldest member of our household, herding us into the ktichen for meals, into the livingroom for laptime, and into bed when she was ready to sleep in her warm blankets. Maverick Caldwell, you filled our hearts and house with joy for 20 years. There will never be another like you. You were never “just a cat” to us.